Will Appeal Against Jayalalithaa Abate? If So What Will Be The Fate Of Other Accused? Justice KT Thomas says Supreme Court should hear the appeal against other accused afresh. After the demise of Tamil Nadu Chief Minister J Jayalalithaa, speculations are rife on the fate of appeals filed by State of Karnataka against her in the disproportionate assets case. A two-judge bench of Supreme Court comprising Justice Pinaki Chandra Ghose and Justice Amitava Roy reserved its judgment in appeals filed against Jayalalithaa and others’ acquittal in the disproportionate assets case on 2ndJune, 2016. The Karnataka government filed the appeal on 23rd June, 2015, saying the Karnataka High Court’s judgment was a “farce”, and that “arithmetical errors made the judgment illegal”. It is also argued that the judgment had resulted in “the miscarriage of justice” and should be quashed. Jayalalithaa and three of her associates were acquitted in the disproportionate assets case by a single judge of the Karnataka High Court in May 2015. The trial court had convicted and sentenced Jayalalithaa and her three associates to four years in prison, besides imposing a Rs. 100-crore fine, on September 27, 2014. Justice CR Kumaraswamy had allowed appeals filed by Jayalalithaa and others and reversed the conviction ordered by the trial court. Explanation – In this section, “near relative” means a parent, spouse, lineal descendant, brother or sister. From S.394 (1) CrPC, it is very clear that an appeal against a judgment of acquittal shall be abated on the death of the accused. 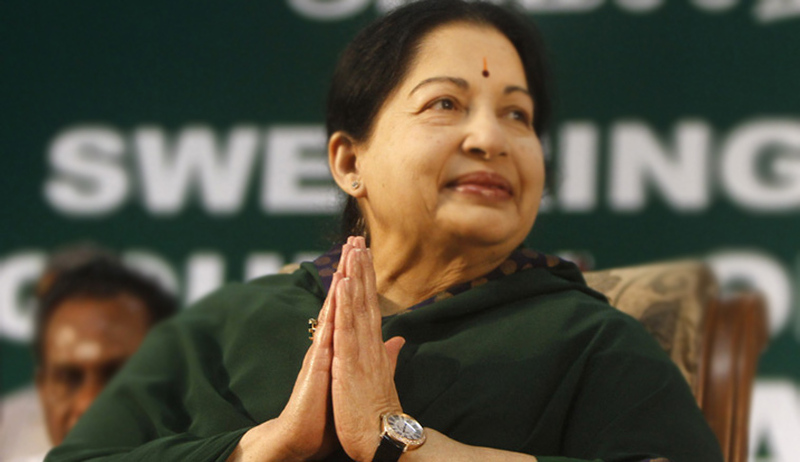 Justice V Ramkumar, former judge of Kerala High Court, told LiveLaw that in the case of Jayalalithaa, the sentence of imprisonment and fine imposed on her by the trial court, stands dislodged with the order of acquittal passed in appeal by the high court. If so, the appeal filed before the Supreme Court has abated under Section 394 (1) CrPC on the death of the accused (Jayalalithaa) and nothing survives as against her. “The principle in civil law as contained in Order 22 rule 6 CPC, that there is no abatement by reason of death after the hearing of the case, may not be applicable to criminal law for want of an enabling provision in the CrPC,”he said. Another senior Supreme Court lawyer said since the case involves the charge of conspiracy between the deceased and other accused, the complicity of the deceased might also indirectly come into play and might be adjudicated by the court. So, the possibility of some findings against the deceased on merits cannot be ruled out. Justice KT Thomas, former Supreme Court Judge opined that, normally in all cases the abatement of the case as against the principal accused on account of his/her death is not enough to end the case against the remaining accused. Speaking to LiveLaw, Senior Advocate Sanjay Hegde said while the case against her abates, there were other co-accused, including Sasikala, against whom it does not abate. “However what may need to be seen is that the rest are not public servants. Secondly what is the exact amount of assets proven in the hands of survivors and is it disproportionate to the income of the deceased public servant? I won't be surprised if all cases are remanded in some manner or the other for investigators and courts to consider afresh,” he said.